Have you ever gone to that dark, non-descript bar at the end of your street in the middle of a sunny weekday to see who's there? Darkside of the Mersey is an accumulation of stories from just such a bar. 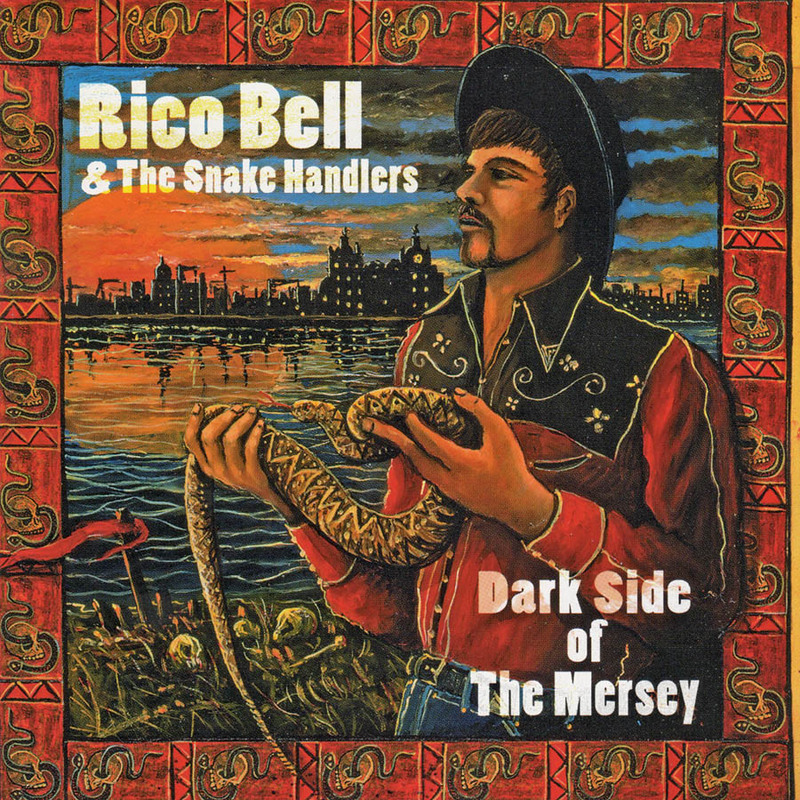 On his 2nd solo CD, Mekons accordion man Rico Bell and his band The Snakehandlers lead the tour down the row of barstools. There are love letters composed, but never sent, and some sent but soon regretted; there are weary rants delivered with both pride, sadness, and disgust; and there are tales of remorse that brag, that stumble, that reel. Rico & The Snakehandlers kick out these stories with all the grace and subtlety of the Pogues riding horses into a funeral parlor. You'll find yourself raising your forehead off the bar and joining in with their pint-rattling pub rock, eerie roots rock that fondly recalls moments of Dave Alvin and Steve Earle, zydeco-ish hops, and rueful waltzes. You may not want to go into such a bar, but, face it, we all end up there at one time or another. Even folks who heard his solo debut probably won't be prepared for just how affecting and powerful this new disc turns out to be. Bell lays into one great roots-rocker after another recalling both the rough-edged passion of England's pub-rock movement and its more crowd-pleasing American equivalent as practiced by such blue-collar poets as Bruce Springsteen. Something's askew when a Limey releases one of the best Americana albums of the year. Bell's accordion is never far from the front of the mix, but he plays it mean enough to warrant a spot alongside Flaco Jimenez. Simple, sad, tear-jerkers with nods towards soul, country, pop and R+B, all sung with an end-of-the-bar growl and a weary tenacity. A Celtic-infused brand of Leeds high lonesome soul from the suave and lady-killing accordionist of the Mekons.